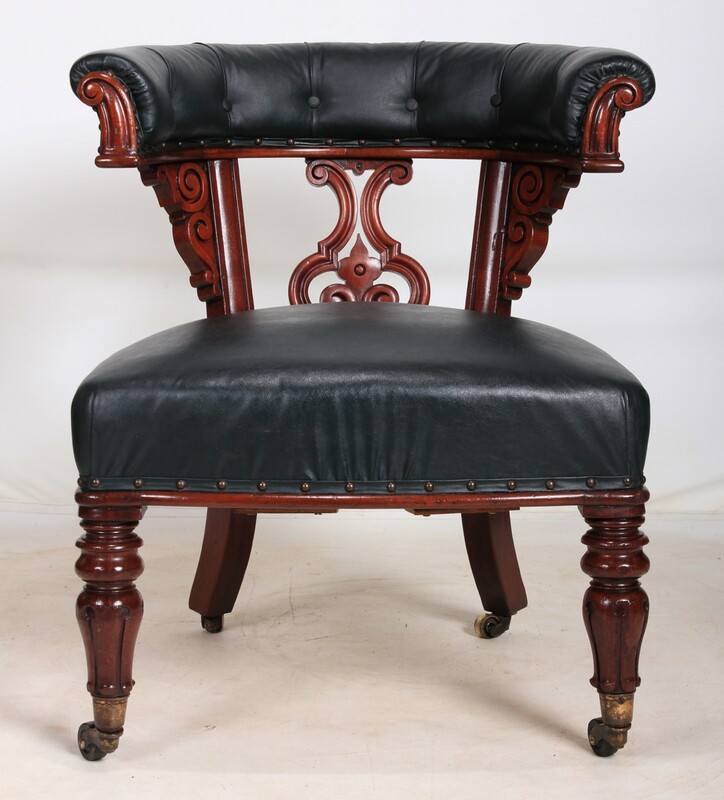 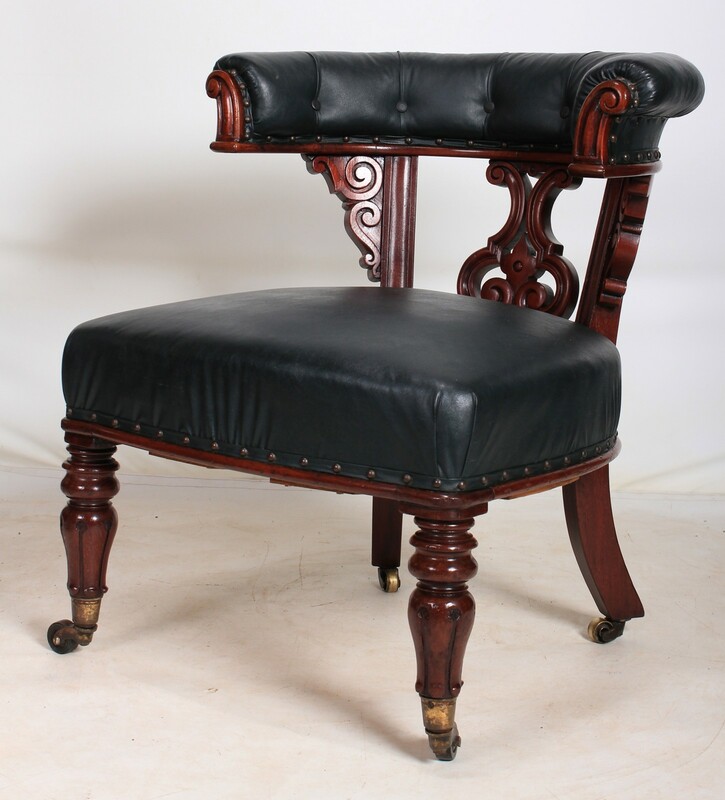 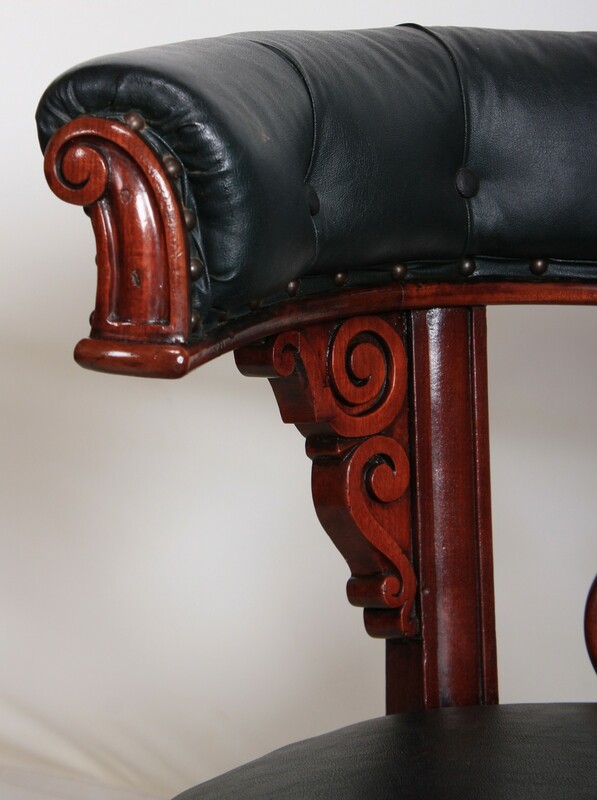 This William IV captains desk chair is offered in great condition, with a newly upholstered buttoned horseshoe shaped back and beautifully carved scrolls. 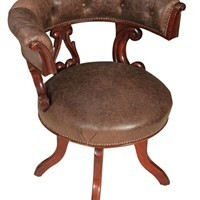 The back has lovely carving and the seat is upholstered in a dark blue faux leather. 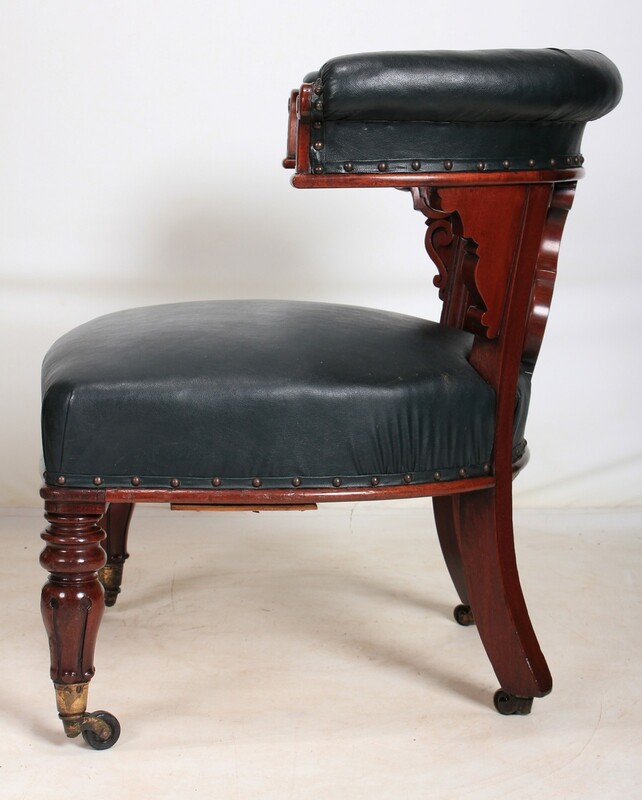 On tulip legs with brass casters.